Web page last update: Jan. 3, 2019. I am interested in the analysis and visualization of large and complex data. 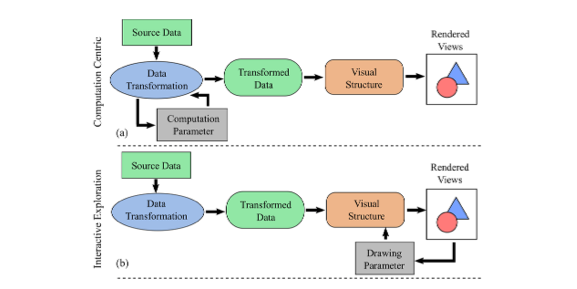 My research expertise lies in the theoretical, algorithmic, and application aspects of data analysis and data visualization, with a focus on topological techniques. My research interests include: topological data analysis, data visualization, computational topology, computational geometry, machine learning and data mining. Previously, I have worked on projects related to computational biology and bioinformatics, as well as robotics. My vision is to tackle problems involving large and complex forms of data that require rich structural descriptions, by combining topological, geometric, statistical, data analysis and visualization techniques. 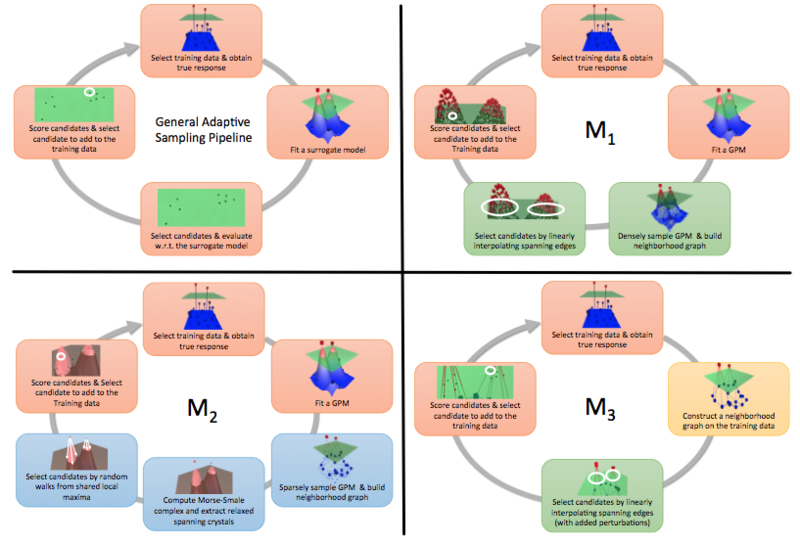 2017 - 2019 NSF-DBI-1661375: A Scalable Framework for Visual Exploration and Hypotheses Extraction of Phenomics Data using Topological Analytics. Utah Project Website. Collaborative Project Website. 2016 - 2019 NIH-R01-1R01EB022876-01: Beyond Diagnostic Classification of Autism. 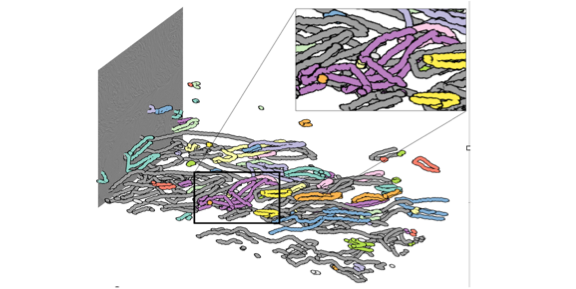 2015 - 2019 NSF-IIS-1513616: Topological Data Analysis for Large Network Visualization. 2016 - 2017 NRAO-NSF Pilot Grant: Feature Extraction & Visualization of ALMA Data Cubes through Topological Data Analysis. 2019: 8th Annual Minisymposium on Computational Topology during the Computational Geometry Week, June 18-21, 2019. Organizers: Bei Wang, Bala Krishnamoorthy, Dmitriy Morozov. 2017: Dagstuhl Seminar: Topology, Computation and Data Analysis, July 16 - 21, 2017. Organizers: Bei Wang, Hamish Carr, Michael Kerber. 2017: 6th Annual Minisymposium on Computational Topology during the Computational Geometry Week, July 4-7, 2017. Organizers: Bei Wang, Mickael Buchet, Emerson G. Escolar, Clement Maria. 2016: Tutorial: Recent Advancements of Feature-based Flow Visualization and Analysis at IEEE VIS, 2017. Organizers: Bei Wang, Jun Tao, Hanqi Guo, Tino Weinkauf, Christoph Garth. 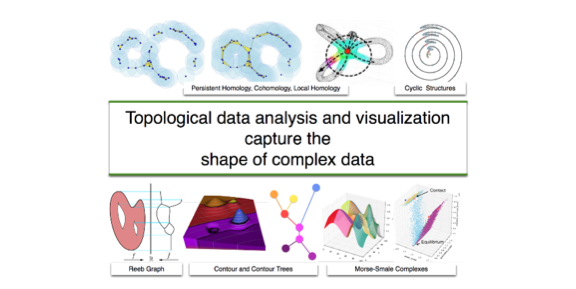 2016: Topological Data Analysis in Biomedicine at the 7th ACM Conference on Bioinformatics, Computational Biology, and Health Informatics (ACM-BCB), Oct 2, 2016. Organizers: Bei Wang, Bala Krishnamoorthy. I am looking for talented undergraduate and graduate students who are interested in data analysis and data visualization. If you are interested and you are a University of Utah student, please email me your CV. If you are applying to graduate school at School of Computing, University of Utah, please apply through the official admission webpage at http://www.cs.utah.edu/graduate/admissions/. Yiliang Shi (CS, Undergraduate Thesis, graduated Spring 2018, graduate school @ Columbia University). Honorable Mention in the Computing Research Association (CRA) Outstanding Undergraduate Researchers, 2018. Keri Anderson (CS, Undergraduate Thesis, graduated Spring 2018). School of Computing Outstanding Graduating Senior award at the University of Utah, 2018. William Garnes (CS, Undergraduate REU, graduated Spring 2018, graduate school @ Clemson University). College of Engineering Scholarship, 2017-2018. GEM fellowship, 2018. Yixuan (Eric) Wang (MS ECE/CS Master Project, graduated Spring 2017, first Job @ InsideSales, now @ Amazon). Sravan Neerati (CS MS): RA, Fall 2017. Chetal Patil (CS MS): RA, Fall 2017. Tim Sodergren (CS PhD): RA, Fall 2016 - Summer 2017. Vipin Jose (CS MS): RA, Spring 2017. Adam Conkey (CS PhD): Independent Study, Spring 2017. Matt Howa (Undergraduate REU): Spring 2017. Sam Leventhal (CS PhD): Independent Study, Spring 2016. Soumya S. Mishra (CS MS): Independent Study, Fall 2014. Informal project mentoring as a Research Computer Scientist: Brian Summa (CS PhD), Harsh Bhatia (CS PhD), Yan Zheng (CS PhD), Hoa Nguyen (CS PhD), Wathsala Widanagamaachchi (CS PhD), Liang He (CS MS). Fall 2018: On teaching release. Visiting Simons Institute at UC Berkeley: Foundations of Data Science program. Papers marked with * use alphabetic ordering of authors. René Corbet, Ulderico Fugacci, Michael Kerber, Claudia Landi, Bei Wang. Towards Spectral Sparsification of Simplicial Complexes Based on Generalized Effective Resistance. Braxton Osting, Sourabh Palande and Bei Wang. 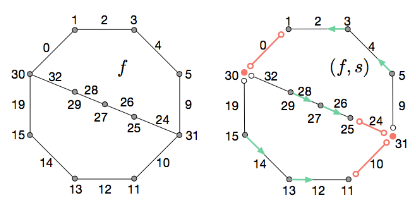 Topological Inference of Manifolds with Boundary. Yuan Wang and Bei Wang. 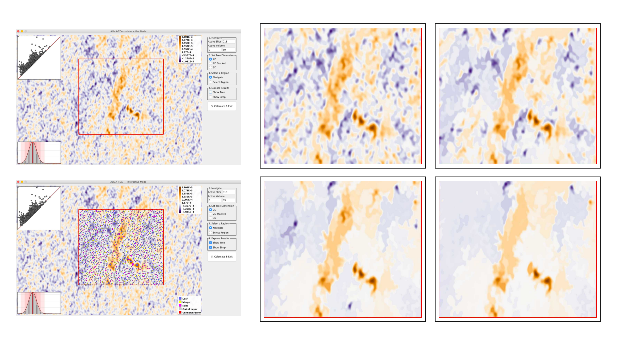 Using Contour Trees in the Analysis and Visualization of Radio Astronomy Data Cubes. Paul Rosen, Bei Wang, Anil Seth, Betsy Mills, Adam Ginsburg, Julia Kamenetzky, Jeff Kern, Chris R. Johnson. 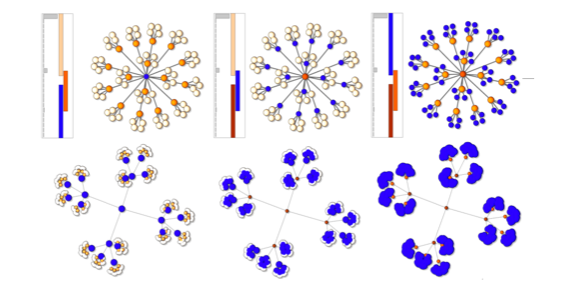 MOG: Mapper on Graphs for Relationship Preserving Clustering. Mustafa Hajij, Bei Wang, Paul Rosen. 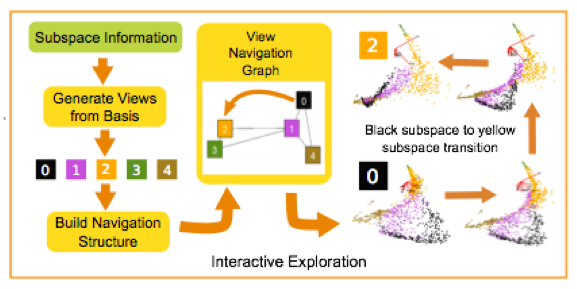 Driving Interactive Graph Exploration Using 0-Dimensional Persistent Homology Features. Ashley Suh, Mustafa Hajij, Bei Wang, Carlos Scheidegger, Paul Rosen. 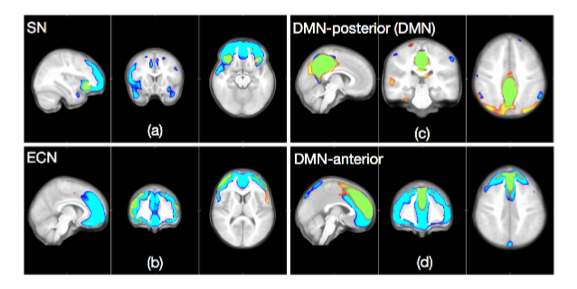 Topological Data Analysis of Functional MRI Connectivity in Time and Space Domains. Keri Anderson, Jeffrey Anderson, Sourabh Palande, and Bei Wang. International Workshop on Connectomics in NeuroImaging (CNI) at MICCAI, 2018. Best Paper Award! 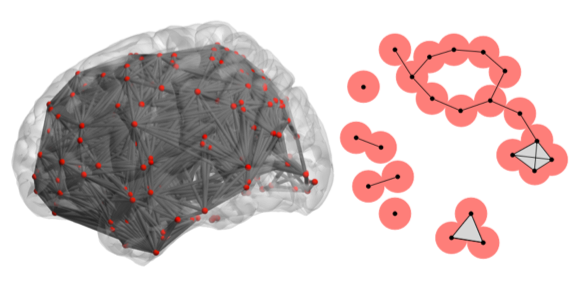 Revisiting Abnormalities in Brain Network Architecture Underlying Autism Using Topology-Inspired Statistical Inference. Sourabh Palande, Vipin Jose, Brandon Zielinski, Jeffrey Anderson, P. Thomas Fletcher and Bei Wang. International Workshop on Connectomics in NeuroImaging (CNI) at MICCAI, 2017. 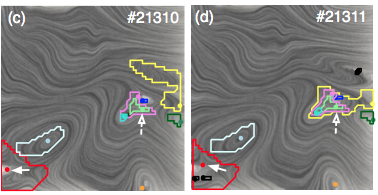 Homology-Preserving Dimensionality Reduction via Manifold Landmarking and Tearing. Lin Yan, Yaodong Zhao, Paul Rosen, Carlos Scheidegger, Bei Wang. Symposium on Visualization in Data Science (VDS) at IEEE VIS, 2018. Discrete Stratified Morse Theory: A User's Guide. Kevin Knudson and Bei Wang. International Symposium on Computational Geometry (SOCG), 2018. Adam Brown and Bei Wang. Vietoris-Rips and &Ccaron;ech Complexes of Metric Gluings. Michal Adamaszek, Henry Adams, Ellen Gasparovic, Maria Gommel, Emilie Purvine, Radmila Sazdanovic, Bei Wang, Yusu Wang and Lori Ziegelmeier. 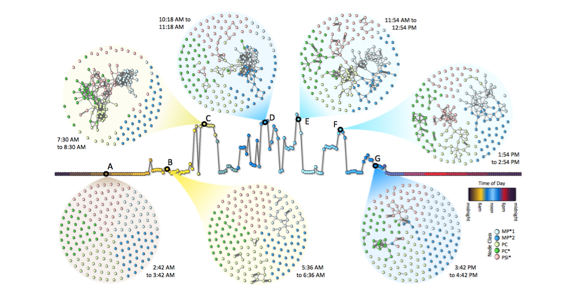 Visual Detection of Structural Changes in Time-Varying Graphs Using Persistent Homology. Mustafa Hajij, Bei Wang, Carlos Scheidegger, Paul Rosen. Proceedings IEEE Pacific Visualization Symposium (PacificVis), 2018. Editors: Hamish Carr, Michael Kerber, and Bei Wang. 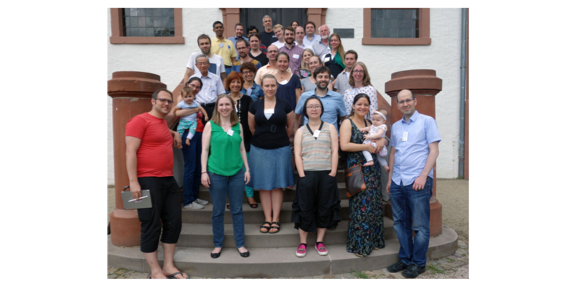 Report from Dagstuhl Seminar, 2018. Online Version: Topology, Computation and Data Analysis (Dagstuhl Seminar 17292). 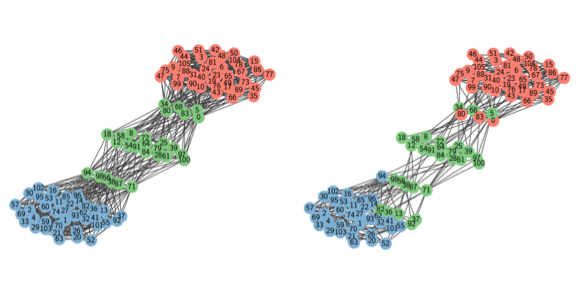 Visual Exploration of Semantic Relationships in Neural Word Embeddings. Shusen Liu, Peer-Timo Bremer, Jayaraman J. Thiagarajan, Vivek Srikumar, Bei Wang, Yarden Livnat and Valerio Pascucci. IEEE Transactions on Visualization and Computer Graphics (TVCG, Proceedings of InfoVis 2017), 24(1):553-562, 2018. Visualizing Sensor Network Coverage with Location Uncertainty. Tim Sodergren, Jessica Hair, Jeff M. Phillips and Bei Wang. Symposium on Visualization in Data Science (VDS) at IEEE VIS, 2017. 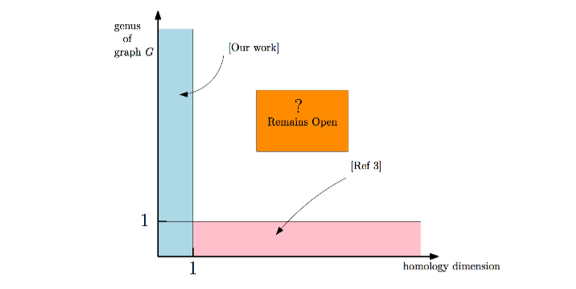 Open Problems in Computational Topology. Brittany Terese Fasy and Bei Wang (with contributions by members of the WinCompTop community). SIGACT NEWS Open Problems Column, Edited by Bill Gasarch, 48(3), 2017. Online Version: SIGACT NEWS open problems column. A Complete Characterization of the 1-DimensionalIntrinsic &Ccaron;ech Persistence Diagrams for Metric Graphs. Ellen Gasparovic, Maria Gommel, Emilie Purvine, Radmila Sazdanovic, Bei Wang, Yusu Wang and Lori Ziegelmeier. AWM-IMA Springer series: Research in Computational Topology, Accepted, 2017. 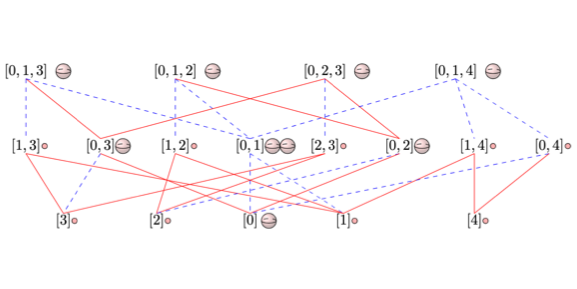 Robustness for 2D Symmetric Tensor Field Topology. Bei Wang and Ingrid Hotz. 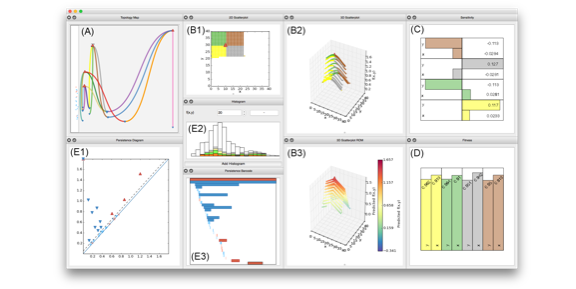 Modeling, Analysis, and Visualization of Anisotropy, Springer, 2017. Interpreting Galilean Invariant Vector Field Analysis via Extended Robustness (Extended Abstract). Bei Wang, Roxana Bujack, Paul Rosen, Primoz Skraba, Harsh Bhatia and Hans Hagen. Topology-Based Methods in Visualization (TopoInVis), 2017. 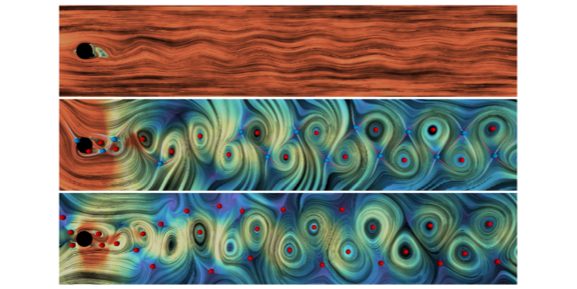 Exploring the Evolution of Pressure-Perturbations to Understand Atmospheric Phenomena. Wathsala Widanagamaachchi, Alexander Jacques, Bei Wang, Erik Crosman, Peer-Timo Bremer, Valerio Pascucci and John Horel. Proceedings IEEE Pacific Visualization Symposium (PacificVis), 2017. 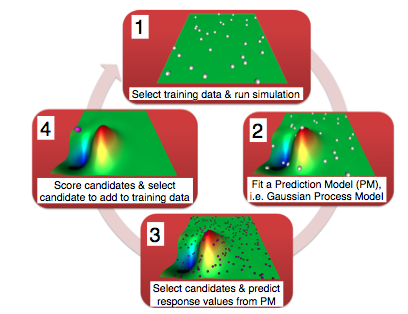 Visualizing High-Dimensional Data: Advances in the Past Decade. IEEE Transactions on Visualization and Computer Graphics (TVCG), 23(3), pages 1249-1268, 2017. Survey Website (Maintained by Shusen Liu). 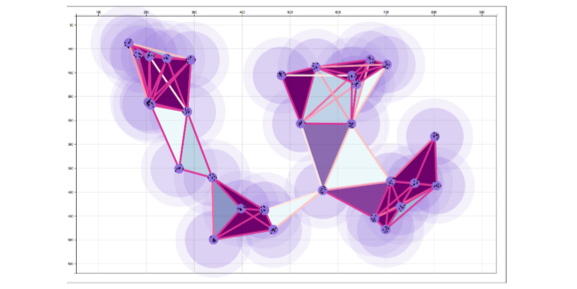 Visual Exploration of Multiway Dependencies in Multivariate Data. Hoa Nguyen, Paul Rosen and Bei Wang. ACM SIGGRAPH ASIA Symposium on Visualization, 2016. Convergence between Categorical Representations of Reeb Space and Mapper. Elizabeth Munch and Bei Wang*. International Symposium on Computational Geometry (SOCG), 2016.
arXiv Version: arXiv:1512.04108. Invited Talk at TGDA@OSU. 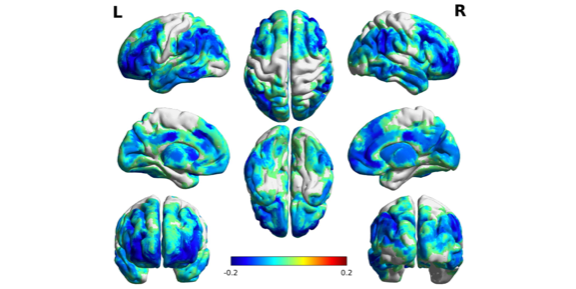 Kernel Partial Least Squares Regression for Relating Functional Brain Network Topology to Clinical Measures of Behavior. Eleanor Wong, Sourabh Palande, Bei Wang, Brandon Zielinski, Jeffrey Anderson and P. Thomas Fletcher. International Symposium on Biomedical Imaging (ISBI), 2016. Poster presentations at ISBI by Eleanor Wong and at TGDA@OSU by Sourabh Palande. 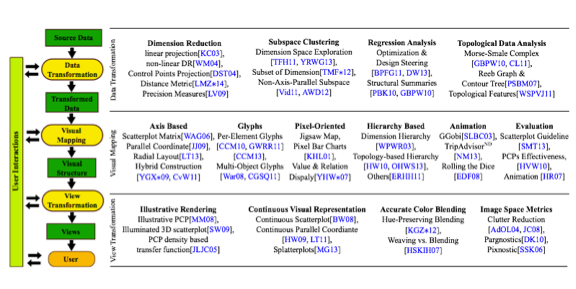 Grassmannian Atlas: A General Framework for Exploring Linear Projections of High-Dimensional Data. Shusen Liu, Peer-Timo Bremer, Jayaraman J. Thiagarajan, Bei Wang, Brian Summa and Valerio Pascucci. Eurographics Conference on Visualization (EuroVis), 2016. 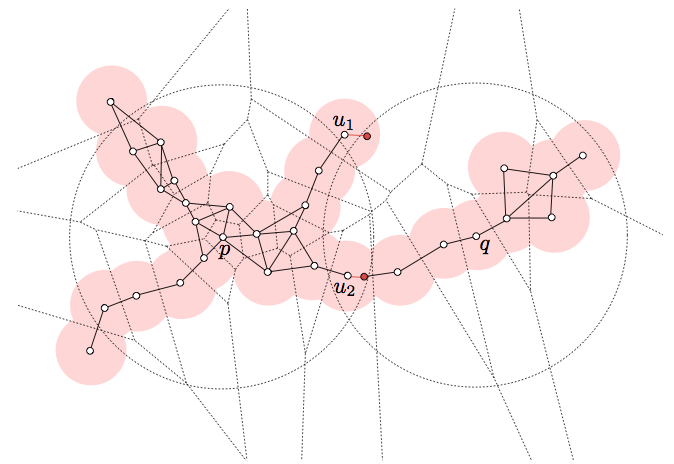 Exploring Persistent Local Homology in Topological Data Analysis. Brittany T. Fasy and Bei Wang*. IEEE International Conference on Acoustics, Speech and Signal Process (ICASSP), 2016. 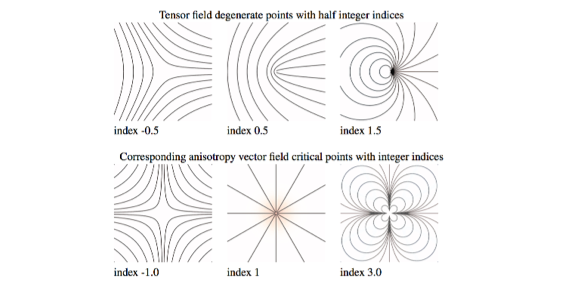 Critical Point Cancellation in 3D Vector Fields: Robustness and Discussion. Primoz Skraba, Paul Rosen, Bei Wang, Guoning Chen,	Harsh Bhatia and Valerio Pascucci. Proceedings IEEE Pacific Visualization (PacificVis), 2016. Best Paper Award! IEEE Transactions on Visualization and Computer Graphics (TVCG), 22(6), pages 1683-1693, 2016. Topology-Inspired Partition-Based Sensitivity Analysis and Visualization of Nuclear Simulations. Daniel Maljovec, Bei Wang, Paul Rosen, Andrea Alfonsi, Giovanni Pastore, Cristian Rabiti and Valerio Pascucci. Proceedings IEEE Pacific Visualization (PacificVis), 2016. 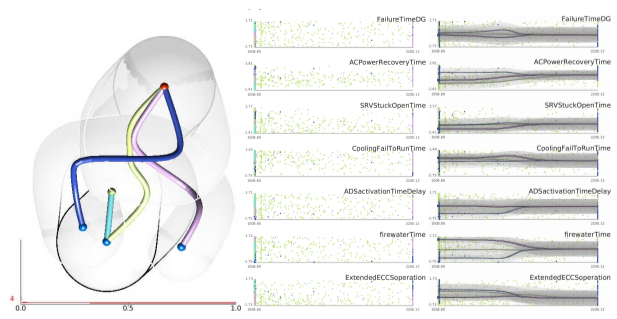 Analyzing Simulation-Based PRA Data Through Traditional and Topological Clustering: A BWR Station Blackout Case Study. Dan Maljovec, Shusen Liu, Bei Wang, Valerio Pascucci, Peer-Timo Bremer, Diego Mandelli and Curtis Smith. Reliability Engineering & System Safety (RESS), 145, pages 262-276, 2016. Online Version: invited longer journal version based on our work from PSAM 2014. 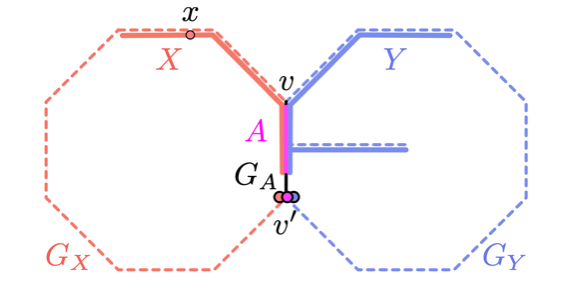 Reeb Space Approximation with Guarantees (Abstract). 25th Annual Fall Workshop on Computational Geometry (FWCG), 2015. Geometric Inference on Kernel Density Estimates. Jeff M. Phillips, Bei Wang and Yan Zheng*. 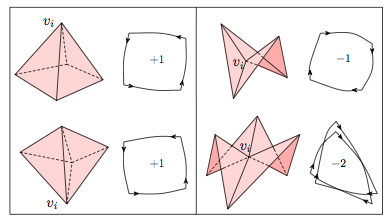 International Symposium on Computational Geometry (SOCG), 2015. Conference Proceedings. Full Version: arXiv:1307.7760. Local, Smooth, and Consistent Jacobi Set Simplification. Harsh Bhatia, Bei Wang, Gregory Norgard, Valerio Pascucci and Peer-Timo Bremer. Computational Geometry: Theory and Applications (CGTA), 48(4), pages 311-332, 2015. Interstitial and Interlayer Ion Diffusion Geometry Extraction in Graphitic Nanosphere Battery Materials. Attila Gyulassy, Aaron Knoll, Kah Chun Lau, Bei Wang, Peer-Timo Bremer, Michael E. Papka, Larry A. Curtiss and Valerio Pascucci. Proceedings IEEE Visualization Conference (VIS), 2015. IEEE Transactions on Visualization and Computer Graphics (TVCG), 22(1), pages 916 - 925, 2016. 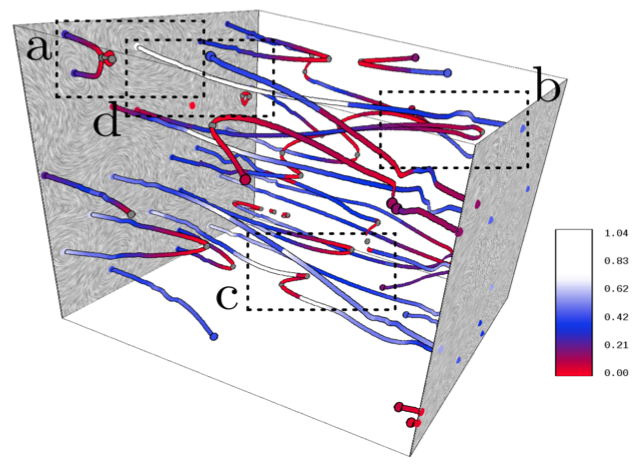 Robustness-Based Simplification of 2D Steady and Unsteady Vector Fields. Primoz Skraba, Bei Wang, Guoning Chen and Paul Rosen. 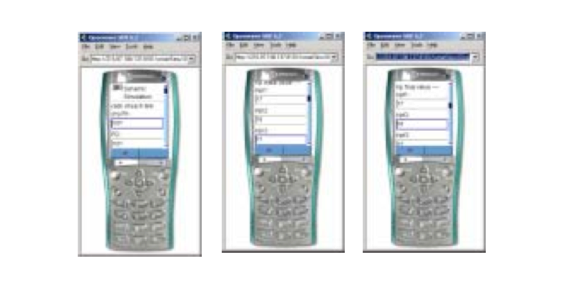 IEEE Transactions on Visualization and Computer Graphics (TVCG), 21(8), pages 930 - 944, 2015. Shusen Liu, Dan Maljovec, Bei Wang, Peer-Timo Bremer and Valerio Pascucci. 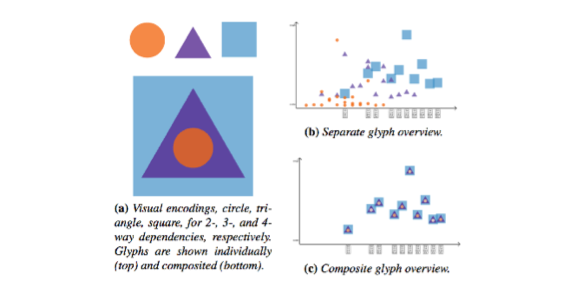 Eurographics Conference on Visualization (EuroVis) , STAR -- State of The Art Report, 2015. Visual Exploration of High-Dimensional Data through Subspace Analysis and Dynamic Projections. Shusen Liu, Bei Wang, Jayaraman J. Thiagarajan, Peer-Timo Bremer and Valerio Pascucci. Eurographics Conference on Visualization (EuroVis) , 2015. Computer Graphics Forum (CGF), 34(3), pages 271-280, 2015. Supplemental Video. Journal Online. YouTube. 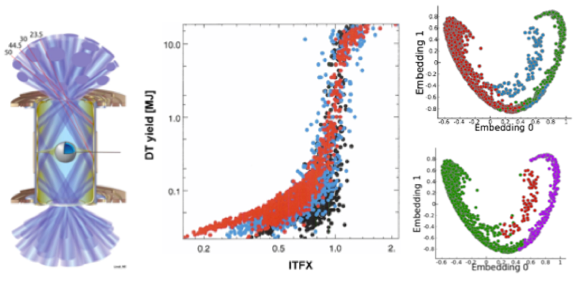 Morse-Smale Analysis of Ion Diffusion for DFT Battery Materials Simulations. 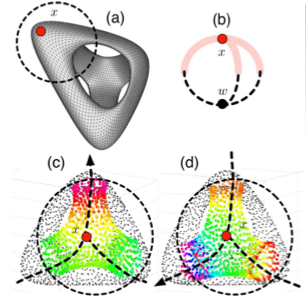 Topology-Based Methods in Visualization (TopoInVis) , 2015. ND2AV: N-Dimensional Data Analysis and Visualization -- Analysis for the National Ignition Campaign. Peer-Timo Bremer, Dan Maljovec, Avishek Saha, Bei Wang, Jim Gaffney, Brian K. Spears and Valerio Pascucci. 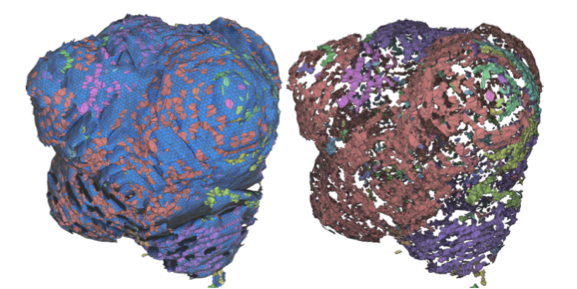 Computing and Visualization in Science (CVS), 17(1), Pages 1-18, 2015. 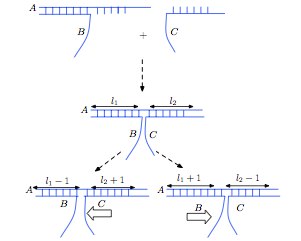 Approximating Local Homology from Samples. Primoz Skraba and Bei Wang*. Proceedings 25th Annual ACM-SIAM Symposium on Discrete Algorithms (SODA), pages 174-192, 2014. 2D Vector Field Simplification Based on Robustness. Proceedings IEEE Pacific Visualization (PacificVis), 2014. Best Paper Award! Interpreting Feature Tracking Through the Lens of Robustness. Topological Methods in Data Analysis and Visualization III: Theory, Algorithms, and Applications, pages 19-38, 2014. 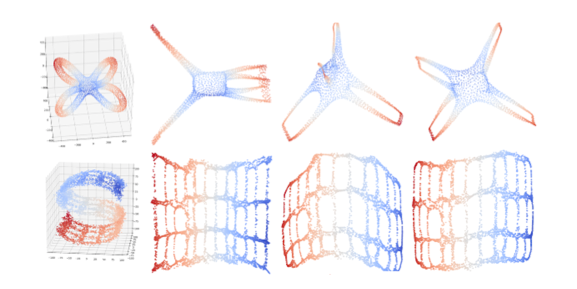 Workshop Version: Topology-Based Methods in Visualization (TopoInVis), 2013. Multivariate Volume Visualization through Dynamic Projections. IEEE Symposium on Large Data Analysis and Visualization (LDAV), 2014. 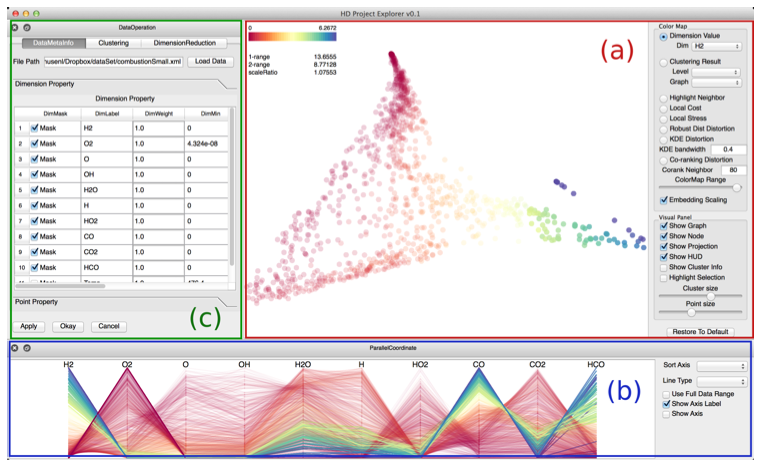 Distortion-Guided Structure-Driven Interactive Exploration of High-Dimensional Data. Shusen Liu, Bei Wang, Peer-Timo Bremer and Valerio Pascucci. Eurographics Conference on Visualization (EuroVis), 2014. Computer Graphics Forum (CGF), 33(3), pages 101-110, 2014. EuroVis Supplemental. EuroVis Video. Journal Online. YouTube. 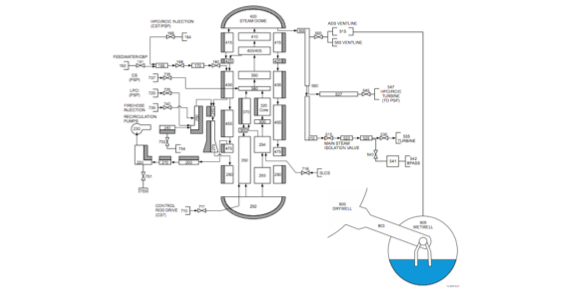 Analyzing Simulation-Based PRA Data Through Clustering: a BWR Station Blackout Case Study. Probabilistic Safety Assessment & Management conference (PSAM), 2014. Overview of New Tools to Perform Safety Analysis: BWR Station Black Out Test Case. Diego Mandelli, Curtis Smith, Tom Riley, Joseph Nielsen, John Schroeder, Cristian Rabiti, Andrea Alfonsi, Joshua Cogliati, Robert Kinoshita, Valerio Pascucci, Bei Wang and Dan Maljovec. Probabilistic Safety Assessment & Management conference (PSAM) , 2014. 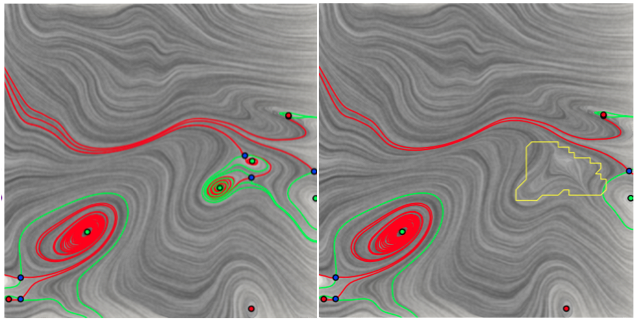 Visualizing Robustness of Critical Points for 2D Time-Varying Vector Fields. Bei Wang, Paul Rosen, Primoz Skraba, Harsh Bhatia and Valerio Pascucci. Eurographics Conference on Visualization (EuroVis) 2013. Computer Graphics Forum (CGF), 32(2), pages 221-230, 2013. EuroVis Supplemental. EuroVis Video. CEDMAV Video. Journal Online. 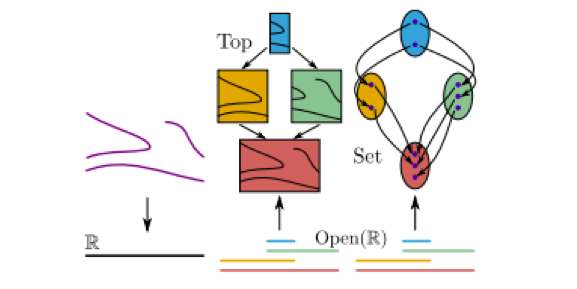 Adaptive Sampling with Topological Scores. 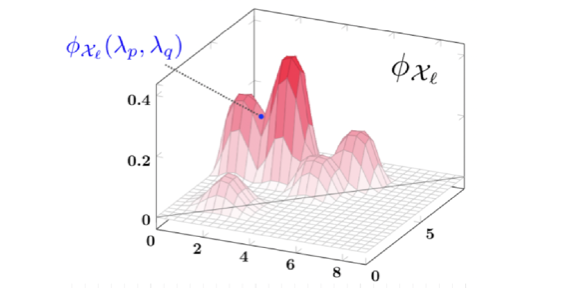 International Journal for Uncertainty Quantification (IJUQ), 3(2), pages 119-141, 2013. Workshop version: Working with Uncertainty Workshop at IEEE VisWeek, 2011. 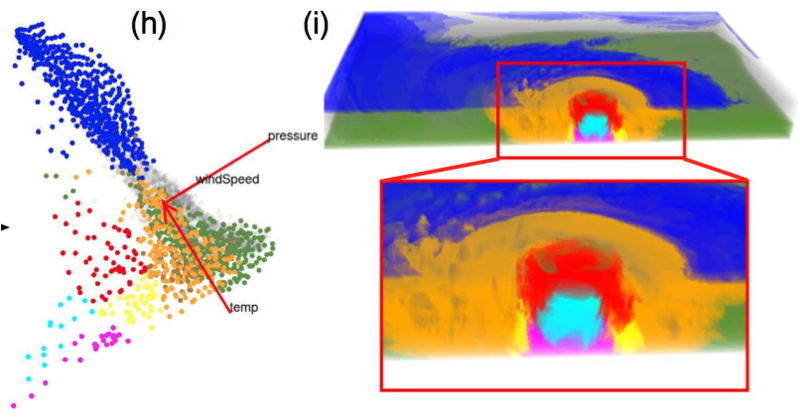 Exploration of High-Dimensional Scalar Function for Nuclear Reactor Safety Analysis and Visualization. Dan Maljovec, Bei Wang, Valerio Pascucci, Peer-Timo Bremer, Michael Pernice, Diego Mandelli and Robert Nourgaliev. Proceedings International Conference on Mathematics and Computational Methods Applied to Nuclear Science & Engineering (M&C), pages 712-723, 2013. 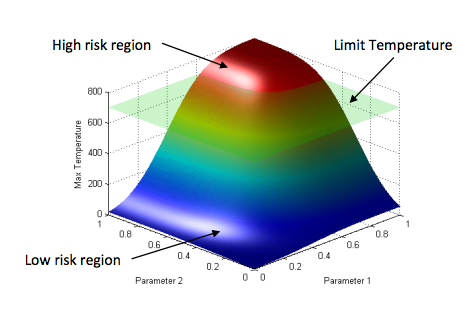 Adaptive Sampling Algorithms for Probabilistic Risk Assessment of Nuclear Simulations. Dan Maljovec, Bei Wang, Diego Mandelli, Peer-Timo Bremer and Valerio Pascucci. International Topical Meeting on Probabilistic Safety Assessment and Analysis (PSA), 2013. First runner-up for the Best Student Paper Award! 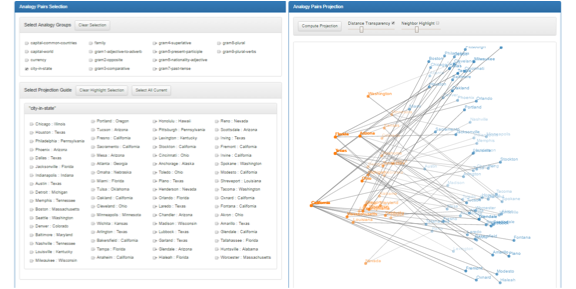 Analyze Dynamic Probabilistic Risk Assessment Data through Clustering. Local Homology Transfer and Stratification Learning. Paul Bendich, Bei Wang and Sayan Mukherjee. Proceedings 23rd Annual ACM-SIAM Symposium on Discrete Algorithms (SODA), pages 1355-1370, 2012. A revised journal full version is coming soon! 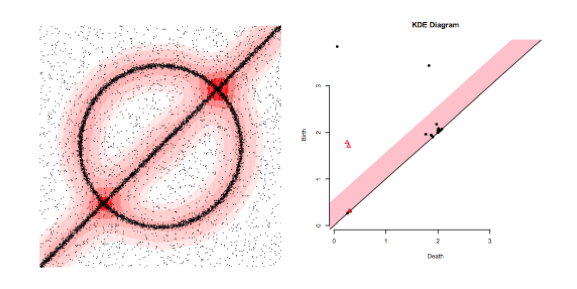 Kernel Distance for Geometric Inference (Abstract). Jeff M. Phillips and Bei Wang*. 22nd Annual Fall Workshop on Computational Geometry (FWCG), 2012. 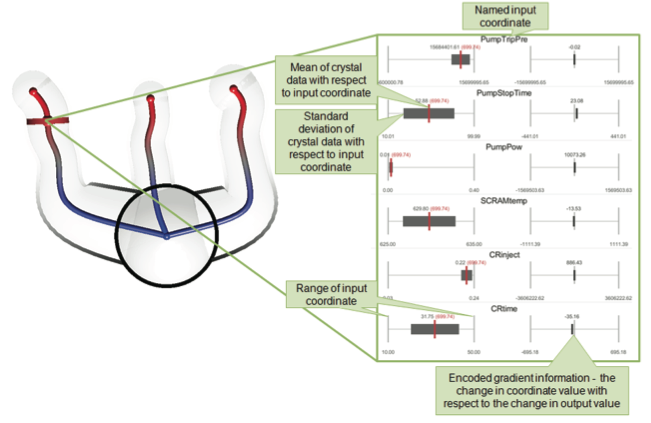 Topological Analysis and Visualization of Cyclical Behavior in Memory Reference Traces. A.N.M. Imroz Choudhury, Bei Wang, Paul Rosen and Valerio Pascucci. Proceedings IEEE Pacific Visualization (PacificVis), 2012. Branching and Circular Features in High Dimensional Data. Proceedings IEEE Visualization Conference (VIS), 2011. IEEE Transactions on Visualization and Computer Graphics (TVCG), 17(12), pages 1902-1911, 2011. Computing Elevation Maxima by Searching the Gauss Sphere. Bei Wang, Herbert Edelsbrunner and Dmitriy Morozov. Journal of Experimental Algorithmics (JEA), 16, pages 1-13, 2011. Lecture Notes in Computer Science (LNCS), 5526, pages 281-292, 2009. 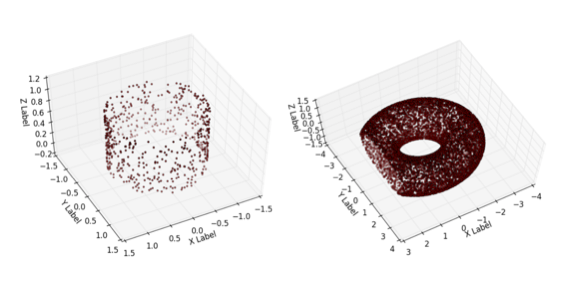 Separating Features from Noise with Persistence and Statistics. Ph.D. Thesis, Duke University, 2010. A Computational Screen for Site Selective A-to-I Editing Detects Novel Sites in Neuron Specific Hu Proteins. Mats Ensterö, Örjan Åkerborg, Daniel Lundin, Bei Wang, Terrence S Furey, Marie Öhman and Jens Lagergren. 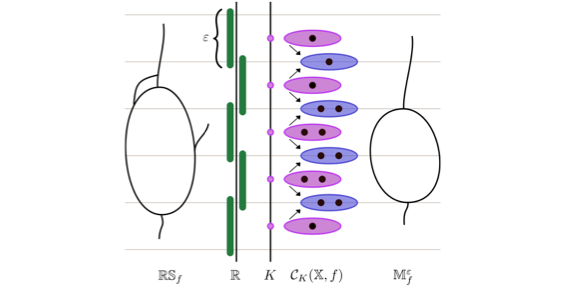 Towards Stratification Learning through Homology Inference. Paul Bendich, Sayan Mukherjee and Bei Wang. AAAI Fall Symposium on Manifold Learning and its Applications (AAAI), 2010. 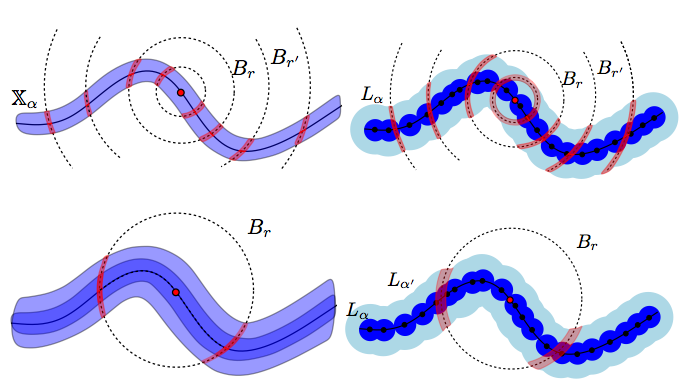 Manifold Learning and its Applications: Papers from the AAAI Fall Symposium. 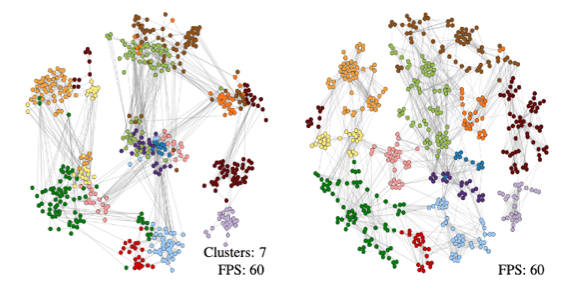 Spatial Scan Statistics for Graph Clustering. Bei Wang, Jeff M. Phillips, Robert Schrieber, Dennis Wilkinson, Nina Mishra and Robert Tarjan. Proceedings of 8th SIAM International Conference on Data Mining (SDM), 2008. 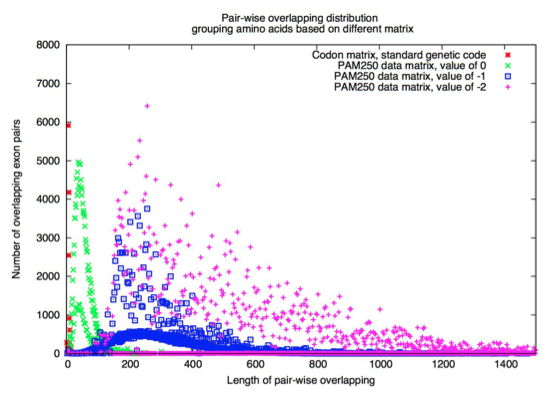 Two Proteins for the Price of One: The Design of Maximally Compressed Coding Sequences. Bei Wang, Dimitris Papamichail, Steffen Mueller and Steven Skiena. 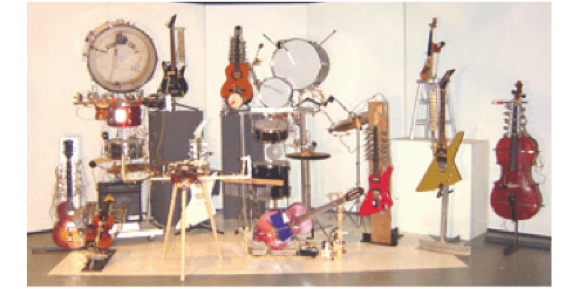 Natural Computing, 6(4), pages 359-370, 2007. Lecture Notes in Computer Science (LNCS), 3892, pages 387-398, 2006. A Framework for Modeling DNA Based Molecular Systems. Sudheer Sahu, Bei Wang and John H. Reif. Proceedings 12th International Meeting on DNA Computing (DNA), 2006. Lecture Notes in Computer Science (LNCS), 4287, pages 250-265, 2006. Tarek M. Sobh, Bei Wang and Kurt W. Coble. 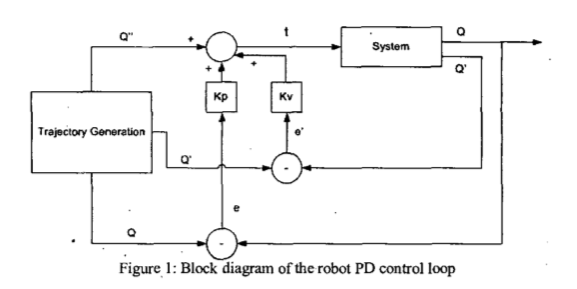 Journal of Intelligent and Robotic System (JIRS), 38(2), pages 197-212, 2003. Web Enabled Robot Design and Dynamic Control Simulation Software Solutions from Task Points Description. Tarek M. Sobh, Bei Wang, and Sarosh H. Patel. Proceedings 29th Annual International Conference of the IEEE Industrial Electronics Society (IECON) , 2003. 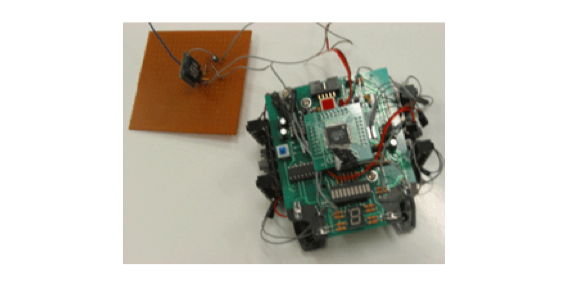 A Mobile Wireless and Web-based Analysis Tool for Robot Design and Dynamic Control Simulation from Task Points Description. Tarek M. Sobh, Bei Wang and Sarosh Patel. Journal of Internet Technology, 4(3), pages 153-161, 2003. Web Based Remote Surveillance of Mobile Robot. Tarek M. Sobh, Rajeev Sanyal and Bei Wang. Journal of Internet Technology, 4(3), pages 179-184, 2003. Dan Maljovec, Bei Wang, John Moeller and Valerio Pascucci. SCI Technical Report UUSCI-2014-00, 2014. 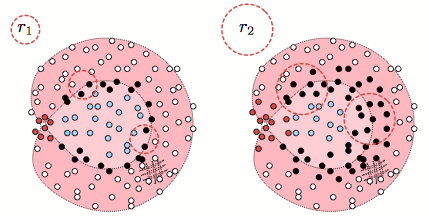 A Comparative Study of Morse Complex Approximation Using Different Neighborhood Graphs. Dan Maljovec, Avishek Saha, Peter Lindstrom, Peer-Timo Bremer, Bei Wang, Carlos Correa, and Valerio Pascucci. 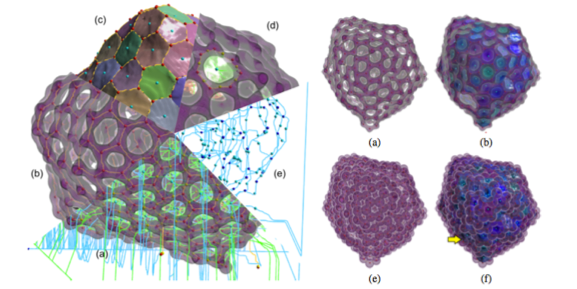 Topology-Based Methods in Visualization (TopoInVis), 2013. Invited Talk: Topological Thinking in Visualization. Topological Data Analysis and Related Topics (TDART), AIMR, Tohoku University, 2017. Invited Talk: Structural Inference of Point Clouds. Invited Talk: Topological Data Analysis and Visualization: from Vector Fields to High-Dimensional Data. Pacific Northwest National Laboratory, 2015. 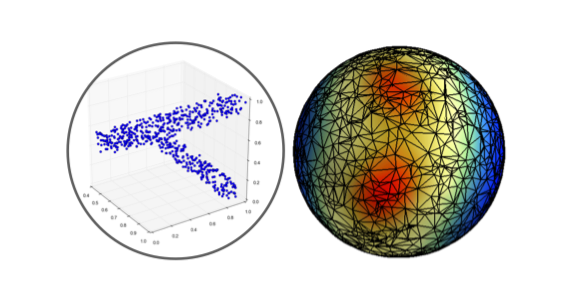 Invited Talks: Robustness-Based Vector Fields Simplification & Topology-Based Active Learning. Computer Science Department, Ohio State University, 2014. Invited Talk: Geometric Inference on Kernel Density Estimates. SAMSI workshop on Topological Data Analysis, research program on Low Dimensional Structure in High Dimensional Systems, 2014. 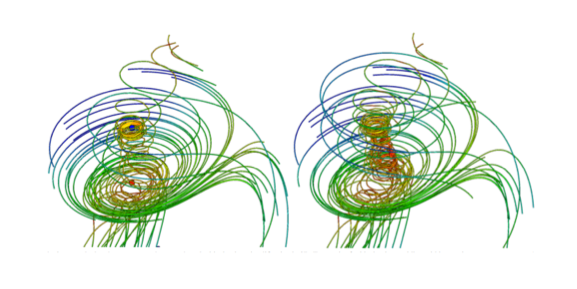 Invited Talk: Vector Field Visualization and Simplification based on Robustness. Computer Science Department Colloquium, University of Connecticut, 2013. Invited Talk: Topological Data Analysis and Visualization: A Biased and Incomplete Point of View. Colloquium Series in School of Engineering, University of Bridgeport, 2013. Invited Talk: Homology and Cohomology in Visualization: From Vector Fields to Memory Reference Traces. IMA Workshop on Modern Applications of Homology and Cohomology, 2013. Organizer and Speaker: Topological Data Analysis and Visualization for Large-Scale and High-Dimensional Science Discovery. PSA Technical Workshop on Topological Data Analysis and Visualization for Large-Scale and High-Dimensional Science Discovery, 2013. Mini-symposium on Applied and Computational Topology, SIAM Conference on Applied Algebraic Geometry (AG), 2013. Invited Talk: Stratification Learning through Local Homology Transfer. AMS-MAA Joint Mathematics Meeting (JMM), special session on Computational and Applied Topology, 2012. 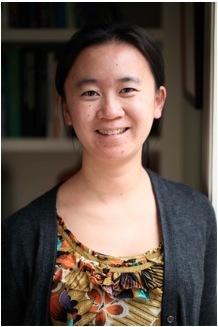 Invited Talk: Towards Stratification Learning through Local Homology Transfer. Theory Lunch, School of Computer Science, Carnegie Mellon University, 2012. Seminar Talk: Stratification Learning through Local Homology Transfer. Applied Math Seminar, Department of mathematics, University of Utah, 2012. Yaroslavl international conference Discrete Geometry dedicated to centenary of A.D.Alexandrov, Russia, 2012. Lecturer: Study of the Elevation function. Summer school of the Delaunay Laboratory, Russia, 2012. Invited Talk: Sampling for Local Homology with Vietoris-Rips Complexes. ACM Symposium on Computational Geometry (SOCG) Workshop on Computational Topology, 2012. Fields Institute for Research in Mathematical Sciences, Thematic Program on Discrete Geometry and Applications, Workshop on Computational Topology, 2011. I am always open to discussions on topology, geometry, mathematics, biology, food, and everything in between. I have a travel blog Jumpy Shell, a travel instagram, and a food blog Bei's Bites, all of which have been more or less inactive because of these kids. I am married to Jeff M. Phillips, and we have two sons: Stanley, born in 2013, and Max, born in 2015. I grew up in Chengdu, Sichuan, China. I came to US after graduating from Chengdu No.7 High School. My high school celerated its 110 year anniversary in 2015. Chengdu is a city of gastronomy (as declared by UNESCO in 2011). It is famous for many things I love, including spicy food, a Giant Sitting Buddha and pandas.